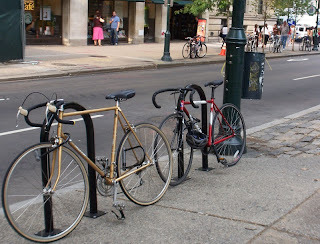 We get lots of requests for bike rack installation permits, To apply for a free bike rack permit from the City of Philadelphia you need to contact by email, Patrick O'Donnell, Streets Department Engineer - Right of Way Unit patrick.o'donnell@phila.gov or 215-686-5618. He needs the address of the installation, a sketch, by attachment, of the type of rack and where on the sidewalk it is to be positioned. How can we get bike path on West River drive repaved, particularly between the old dock house and Montgomery Drive? Tree roots have busted it up pretty well. The 12sky2 Gold should be a timely evolution of the world. Please step up efforts to investigate all types of twelve sky2 Gold can be set up in the game. twelvesky2 Gold to add more rudimentary fashion and to do some changes to the players to use and can create. The buy 12sky2 Gold can help you combat equipment of the production. Use the cheap twelve sky2 Gold may change the door to door battle for offensive and defensive resident.